DUBAI: Etihad Airways plans to “carefully examine” India’s new aviation investment rules that allow complete ownership of domestic Indian airlines by foreign companies. India has recently announced a series of major changes to its aviation sector, including rules surrounding foreign investment, in effort an to encourage investment and long-term development. Etihad, who owns 24 per cent of Indian carrier Jet Airways, told Gulf News it “is a committed, long-term partner and investor in India.” The Abu Dhabi-based airline in 2013 became the first foreign airline to invest in an Indian carrier. 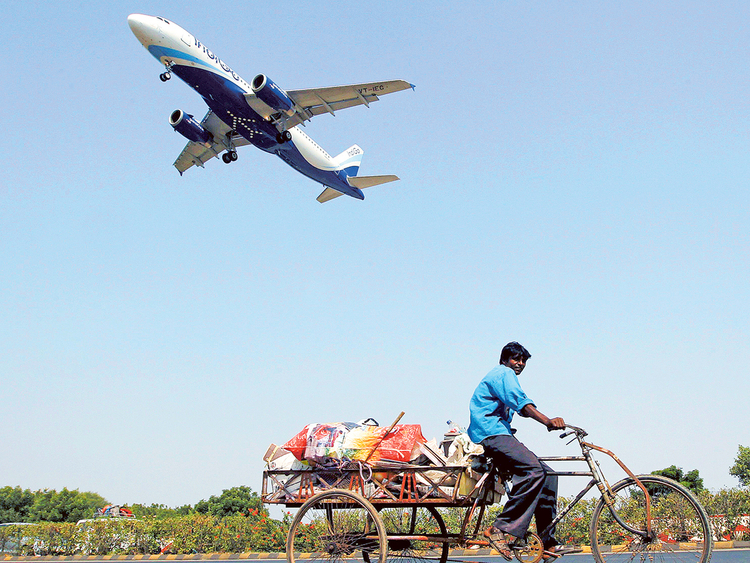 Under the new rules, a foreign company can wholly own a domestic Indian carrier, an increase from the previous 49 per cent cap, though foreign airlines are still limited to holding a maximum stake of 49 per cent. Still, there are ways under the new rules for foreign airlines to get around that cap. Last year, state-owned Qatar Airways tried to use its country’s sovereign wealth fund, the Qatar Investment Authority, to buy into Indian budget carrier IndiGo during its initial public offering after Indian laws blocked the airline from taking part. The transaction failed but only because the sovereign wealth fund did not have enough time to complete the necessary approvals. Qatar Airways’ group chief executive Akbar Al Baker has since said he remains interested in purchasing a stake in IndiGo though the airline did not comment on the changes in foreign investment rules when contact by Gulf News. Emirates, the Middle East’s biggest carrier, said it is not interested in buying or acquiring other airlines. “We continue to focus on our organic growth, and will partner with other airlines where it benefits our customers and makes commercial sense,” a spokesperson told Gulf News. A regional carrier could be used to steer traffic into large Indian airports where passengers could connect onto Gulf airline flights. This strategy is already used by airlines in the United States and Europe, including by Etihad who a 33 per cent stake in a European regional carrier based in Switzerland. John Strickland, aviation expert and director of UK-based JLS Consulting, said “greater liberalisation of traffic rights” in India would be more valuable for Gulf airlines “who may not wish to invest directly in an Indian carrier” but want more access to the country. Part foreign owned carriers have entered India’s domestic aviation sector in the past two years with Air Asia partnering with Tata Sons to form Air Asia India and Singapore Airlines partnering with Tata Sons to form Vistara. Under other recently announced changes, India scrapped the 5/20 rule, which stated domestic carriers had to operate for five years and have a fleet of 20 aircraft to start international flights. Now airlines can start foreign flights as long as they operate 20 planes or 20 per cent of capacity, whichever is higher, on local routes.